Hey guys! I'm selling my SoC GX-72 Megazord and Green Ranger Helmet. 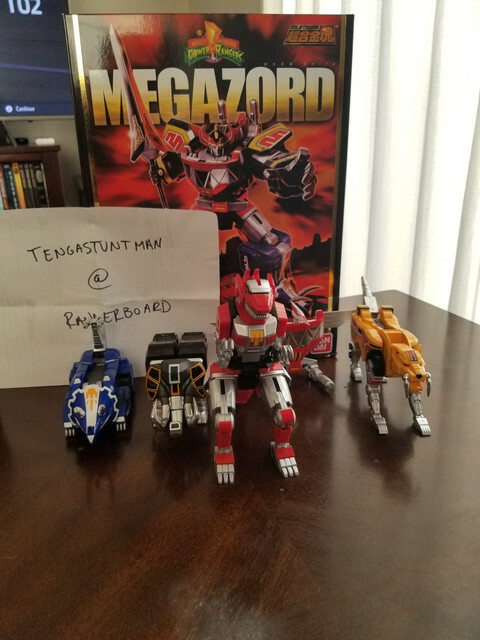 The megazord was just removed from the box, displayed for a week, then put back into the box. I got the helmet back in 2014 and have only ever displayed it. Both come from a smoke free and pet free home. I am looking for $300 shipped for each but will listen to offers. Please no low balling.